A new episode of The 100 airs TONIGHT at 9PM (ET/PT) on The CW, and the network has provided KSiteTV with an EXCLUSIVE clip from tonight’s show! 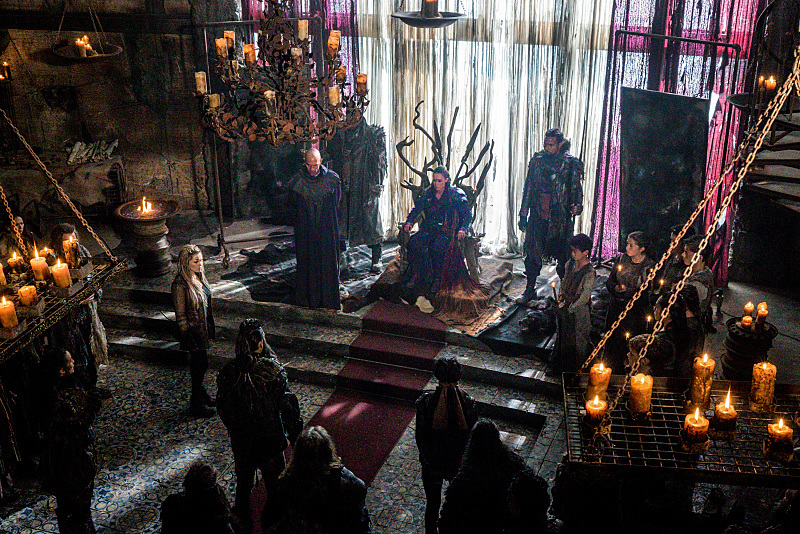 The episode airing tonight (March 3) is called “Thirteen,” and in this clip, Clarke (Eliza Taylor) and Octavia (Marie Avgeropoulos) discuss what it is that they are going to have to do next… and Octavia doesn’t seem to agree with what Clarke has to say. Below, find the clip and some preview images. You can find more coverage of The 100 by browsing KSiteTV! The 100 "Thirteen" KSiteTV EXCLUSIVE Clip from KSiteTV.com on Vimeo. FLASHBACK TO A DARKER TIME – Lexa (guest star Alycia Debnam-Carey, “Fear the Walking Dead”) tries to maintain peace and order within the clans, and Clarke (Eliza Taylor) uncovers a strange and game-changing truth. Meanwhile, a flashback takes us into the darker chapter of humanity’s past. Paige Turco, Isaiah Washington, Henry Ian Cusick, Bob Morley, Marie Avgeropoulos, Devon Bostick, Lindsey Morgan, Christopher Larkin, Richard Harmon and Ricky Whittle also star. Dean White directed the episode written by Javier Grillo-Marxauch (#307). Original airdate 3/3/2016.